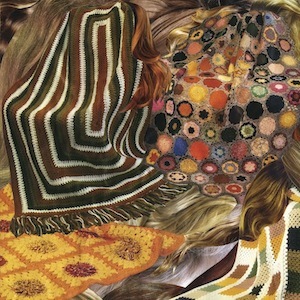 You have to admire Ty Segall for churning out album after album of amazing music, done in collaboration with fellow musicians in White Fence (Tim Presley) and Thee Oh Sees. He’s taken a step back from the bold, eardrum-melting sounds and given us a taste of his softer side with Sleeper. As the album art suggests, Sleeper cloaks the listener in the folds of its warm, folk acoustic sound without cliche. Each track hints at 60s and 70s greats such as Ziggy Stardust, Dylan and Velvet Underground, but Segall’s intense lyrics and seamless technical transitions bring a distinctive quality to this garage-pop music.